50K in Cash & SB Tix: The Biggest Giveaways of Super Bowl LI 0 out of 5 based on 0 ratings. 0 user reviews. The Super Bowl is all about winning and the dream, of course, is to be on the winning team! 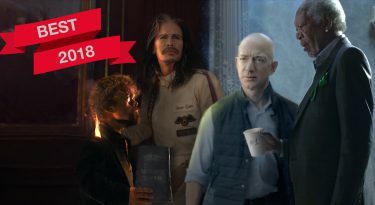 But thanks to the creative efforts of some of our Super Bowl advertisers, you don’t have to be 250-pound linebacker to win big on Super Bowl Sunday! 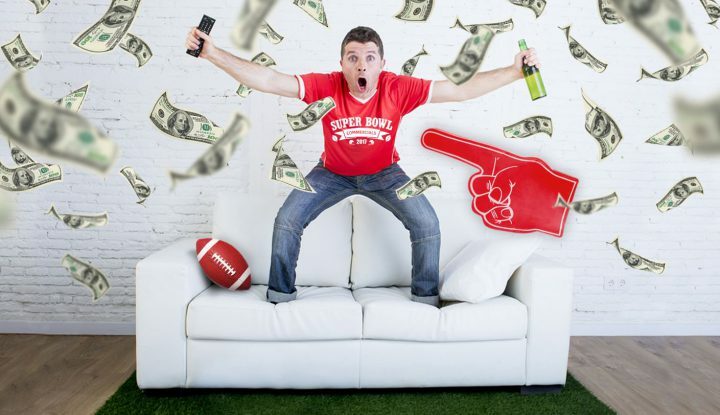 Just in time for the Big Game in Houston this year, there are tons of opportunities for football fans and commercial junkies to tap into their competitive spirit and get in on the action. You can win cash, Super Bowl tickets, a brand new car or even helicopter tour of Houston, Texas. If you love contests and love winning even more, pay close attention. Find out how you can enter and what you can win in honor of Super Bowl LI! In honor of the high-paced, action-packed Wix Super Bowl commercial, the website building pros are giving away $10,000 EVERY SINGLE WEEKDAY from now until the Big Game. Wix wants to show that, despite the fact that we live in a pretty crazy world, they make it easy for any business owner to create a website that can adapt and grow with their business. 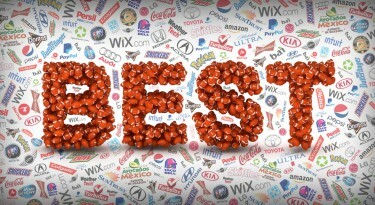 Their Super Bowl campaign stars a small business owner named Felix. Like other business owners, Felix has to keep his cool in a disruptive world. In the Wix Super Bowl LI commercial, big time stars Gal Gadot and Jason Statham destroy Felix’s bistro. But Felix keeps his cool, because he knows how easily he can reinvent his business – and his image. You, too, can change your image in a few clicks. Simply change your Facebook profile picture to Felix’s and submitting it here. Starting on January 23, Wix is giving away $10,000 every weekday and a grand prize of $50,000 on Game Day (February 5)! Snickers or Skittles? Both are Giving Away NFL Tix! Candymaking masters, Mars, Inc. is putting their two Super Bowl stars head to head in a competition between Snickers vs. Skittles. Are you more of the chocolate sort or are the colorful-fruit-flavored candies more your style? Vote for a chance to win NFL season tickets! To find out how to be one of Lady Gaga’s lucky guests, read more here. Sure – the Super Bowl is quintessentially American, but since Yellow Tail is an Australian brand, they have decided to take a lucky winner (and his or her very lucky friend) to see the land of their roots. The fifth biggest wine in the world is sponsoring a very exciting giveaway and the Grand Prize is a trip for two to Sydney! There are also five first prizes of a TV and $750. To enter, all you have to do is snap a pic of the Yellow Tail guy and post it on FB or Twitter with the hashtags #YellowTailGuy and #Sweepstakes. What’s a tailgating party at a football game without a fully-stocked cooler? The cooler-making company, Igloo, knows that no true football fan can party without one of their coolers on hand. That’s why they’re getting into the Big Game spirit with a Super Bowl LI giveaway. Igloo is offering up tons of prices including two Super Bowl tickets, a private helicopter tour of Houston, Texas, $1000 worth of their products and much more. If you want to win, though, ya gotta move fast! The competition ends on January 26! Mission Foods Super Bowl Party Giveaway! Are you throwing a Super Bowl party this year? Then this is YOUR contest. Mission Tortilla Chips is giving away the ultimate Super Bowl party package with a grand prize worth $10,000! (You get a $5k gift certificate to Best Buy and a $5K Visa gift card.) There are also three first prize packages worth $2,500, which is more than enough cash to throw a pretty unforgettable Game Day bash! Enter the Mission giveaway here. If you subscribe to Sirius, then you might be able to win Game Day tickets. That’s right – their contest is only open to their customers and only for a few more days. You have until January 26 to enter their contest, so act quickly! Finally, we also heard about this contest from Scootaround. They make wheelchairs and scooters and a variety of other products to help offer people mobility. They are, apparently, the nation’s #1 choice for “mobility enhancement.” What does this have to do with football? We’re not sure – but Scootaround is giving away a 55-inch Samsung UHD TV and other Super Bowl apparel! In order to enter the contest, you have to answer one tough question – “Can Scooutaround provide scooter and wheelchair rentals in Texas during the Super Bowl?” We’ll let you spend some time pondering that before you enter the sweepstakes. Gearing up for Super Bowl LII! Meanwhile, some brands are already giving away tickets to next year’s Big Game – Super Bowl LII! We have found at least two opportunities to win tickets to the 2018 Super Bowl in Minneapolis! Tabasco is giving away tickets to Super Bowl LII in addition to several “fun game changer kits” which include Tabasco sauce (obviously), bottle openers, foam finger and more. (But what could possibly be more exciting than foam fingers?) Look out for the hashtag #GameChangerContest and find out the details here. Procter and Gamble, the multinational company that owns everything from Downy fabric softener and Scope mouthwash to Covergirl cosmetics and Sunny Delight, is giving away a trip for four to the 2018 Super Bowl! They’re taking care of flights, hotel and the tickets. And all you gotta do is fill out a form. Sure, Minneapolis is a bit chilly in the winter, but if P&G is footing the bill, why not? It’s a pretty short form. 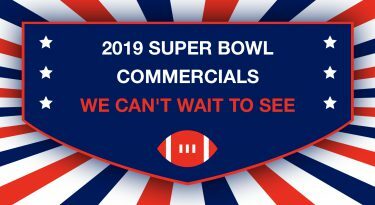 As you sit back and wait to find out if you’ve won, sit back, relax and watch the best Super Bowl commercials of 2016!